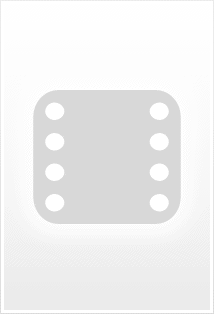 Quintus: Soldier! I told you to move those catapults forward. They're out of range. A brief scene showing Maximus surveying the cost of the Battle with the Germanians. They are hacked and dying Roman's everywhere. Friends of Proximo try to get him to bet against his own gladiators. We are also introduced to Hagan, the German in this scene. Proximo tries to reason with Maximus as to not killing his opponents so quickly but to entertain the crowd. 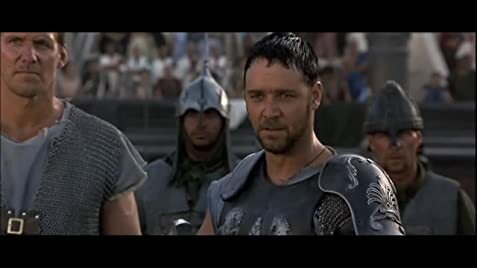 Maximus watches condemmed Christians executed in the arena as they are fed to the lions. Lucilla, Gracchus and Gaius have an important meeting in Gracchus' house. They discuss the future death of the Roman People as her brother Commodus is selling the grain reserve to pay for the games. They conclude that Commodus must die. Commodus, dismayed by the re-appearence of Maximus, attacks a bust of his father with a sword. Two of the Praetorians that knew of Maximus's escape from Germania, are executed by Commodus. Quintus and Commodus have an argument. Commodus orders his spies to watch senators and Proximo. Proximo notices one of his followers. Lucilla realizes that Falco is in league with Commodus. Praetorians attack innocent civilains by setting them on fire. Q: Why wouldn't Quintus allow Commodus a sword after he'd lost his own? Isn't he supposed to follow his ruler's order? Q: Did the Roman Colosseum really have a canopy system to provide shade to the spectators? Edge of Your Seat Fun! Great Story! Great Writing! Great Acting! Great Directing! Great Score! This movie has it all. I especially enjoyed the mood of the film. Even though it has a lot of action, there is a subtle elegance throughout the picture that gives it great style. The movie flows effortlessly from scene to scene, while at the same time creating wonderful intensity and nail-biting excitement. The acting in the movie more than lives up to expectations. Russell Crowe is brilliant in his role as Maximus, the "general who became a slave, who became a gladiator, who defied an emperor." Crowe's intense style is perfect for the relentless determination and confidence of Maximus. Joaquin Phoenix is equally wonderful in his role as Commodus, the corrupt emperor. He plays a great villain because he is able to give Commodus depth by showing certain vulnerable or fragile sides, while at the same time instantly transforming to let the ruthless nature of his volatile character shine. It also helps that Joaquin has the classic Caesar look that works perfectly with his role. Connie Nielsen is also very good as Lucilla. However, perhaps the two finest performances in the movie were given by a couple of acting veterans in supporting roles. Richard Harris and Oliver Reed were exceptional in what will be remembered as crowning achievements at the end of their careers. Harris was perfect as Marcus Aurelius, the aging Caesar who reflects upon his life and contemplates how the world will remember him. And Reed, especially, gave my personal favorite performance in the movie as Proximo, the trainer for the gladiators. 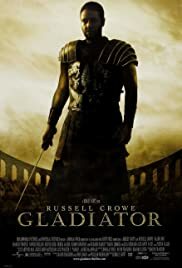 The way he spoke about the life of a gladiator, the splendor of Rome, and the "thrill of the Coliseum" really added excitement and anticipation during the viewing of the movie. Gladiator is filled with many memorable moments that one would need to see more than once to fully appreciate. The excitement felt for me when Rome is first shown in all its wonder and marvel is my favorite scene. But the whole movie is a rush! Hans Zimmer provides the absolute perfect score to capture the different moods in the movie. Ridley Scott sets the perfect tone with his artistic and creative directing. I would recommend it to anyone who can stomach intensity and enjoy an epic story for the ages. Next to Braveheart, this movie is the greatest of all-time! 241 of 308 people found this review helpful. Was this review helpful to you?